If complexity is the underlying cause of problems such as higher operating costs, decreased responsiveness, and greater security risks, simplicity must be the answer. 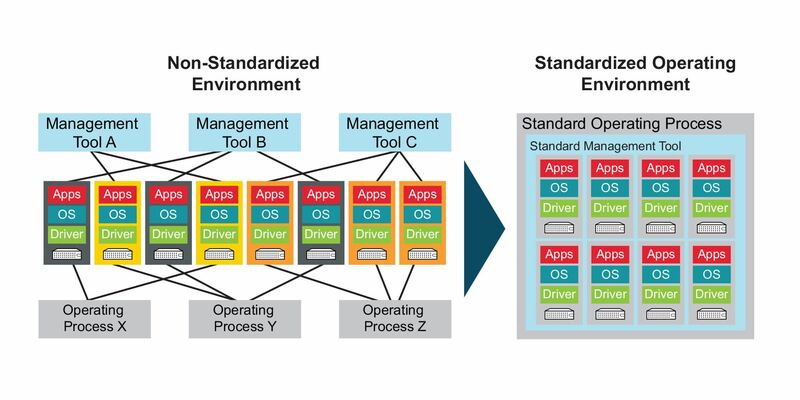 While many point solutions attempt to simplify the IT environment―think system monitoring solutions and patching tools― the only way to achieve the level of simplicity needed to truly impact and alleviate the problem is to standardize your infrastructure. Defines a standard set of components, interfaces, and processes to be used throughout the entire IT infrastructure. Dramatically reduces the number of variations in core technologies such as operating systems, virtualization software, storage software, and administration tools.